Cultivating strong information literacy skills in students takes a well-built partnership between the library and faculty members. However, convincing instructors of the value the library can bring to their classrooms can be a challenge. 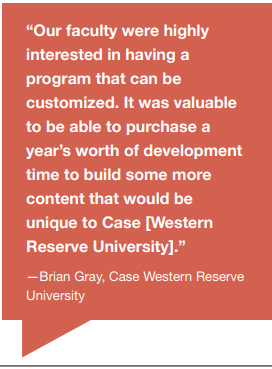 This case study describes how Case Western Reserve University turned to Credo to help tackle information literacy on campus and bolster dialogue with faculty members. When Cairn University’s librarians began preparations for Middle States Accreditation they realized that many of their information literacy tutorials were out of date. Read this case study to find out how they used Credo's Instruct (at that time called InfoLit Modules) to achieve their goal of implementing an engaging, standards-based solution across campus. For those who missed last month’s Georgia International Conference on Information Literacy, or simply couldn’t make it to all of the stellar presentations, Credo offered a reprisal of some of the presentations in a webinar on October 25. The webinar featured the event’s keynote speaker ahead of presentations by three of the many librarians who were featured at the conference. Elyse Eidman-Aadahl, Executive Director of the National Writing Project and co-author of Because Digital Writing Matters and Writing for a Change: Boosting Literacy and Learning through Social Action, offered a taste of her keynote address, “We’re Doomed: Now What?” The speech concentrated on the problem of disinformation, with Eidman-Aadahl describing that the initial feeling of the world being consumed by dishonest news and rhetoric has, for her, been dispelled by students’ reactions to it. The speaker offered many resources for teaching students how to detect dishonest material and for tapping into their interest in how professionals such as journalists cut through the noise. Next was April Sheppard of Arkansas State University, who described a bridge program her library conducted with regional high schools, in which the library offered access to Credo Reference to the schools. While the material helped students regardless of where they planned to go to college, a significant number of the students in the program opted to attend Arkansas State, showing that an institution considering offering such a program can see considerable benefits. Sheppard discussed best practices for bridge programs and offered inside details on how her library made the program a success. The final two speakers, Shannon Johnson and Sarah Wagner of Purdue University, offered a joint presentation on digital badging. The coworkers described their experiences providing information literacy training for library student workers, with digital badging tracking the students’ progress and offering them an incentive to continue. Johnson and Wagner discussed the technology they used in this project and the ups and downs of using digital badges in education. 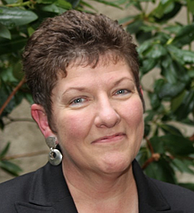 In "Reframing from the Ground Up," an article in the April, 2019 issue of College and Research Libraries News, Shonn M. Haren, library instruction coordinator at California State Polytechnic University in Pomona, California, describes how her library overhauled its IL program, creating modules that each addressed one of the frames from ACRL's Framework for Infomation Literacy for Higher Education. The new course ended by asking students to edit Wikipedia articles, an activity that made some previously so-so students into "arch-perfectionists." If you teach graduate students who are expected to write seminar papers, try this primer by Jessie Reeder, Assistant Professor, 19th Century British Literature, at Binghamton University. Reeder tweeted about the primer this week; in response to one of the replies, she notes that she will create an online, Creative Commons-licensed form of the document, but for now the attachment should still spark ideas for graduate students who are tasked with this kind of assignment. On Friday, April 19th at noon central time, CARLI (Consortium of Academic and Research Libraries Illinois) will host a Twitter chat about cultivating learning environments for students with diverse identities. The hashtag is #InclusiveInfoLit. What approaches or strategies have you used in the past to use to create a more inclusive InfoLit classroom? How do you safeguard against your own hidden/unconscious bias and help students become aware of their own potential bias? Do you have any favorite resources (books, articles, blogs, etc.) that inform your approach to inclusive pedagogy? Credo's IL Strategy Handbook is being released in several stages. October saw the release of a section covering curriculum design; in November we look at continuous improvement through assessment. Ahead of that, take a look at Megan Oakleaf's "Writing Information Literacy Assessment Plans: A Guide to Best Practice." Do you struggle to get faculty on-board with incorporating IL into their classroom, or inviting you in to discuss how the library can help students in their work? Credo's IL Strategy Handbook has you covered. We recently released a section covering how to make students, faculty, and even parents aware of how your information literacy services and resources--not just the Credo ones--can benefit them. See Section One of the IL Strategy Handbook, "Marketing your IL Program. The News Literacy Project's "The Sift" newsletter is well worth signing up for if you talk to students about disinformation. Each issue packs in an amazing amount of detail on recent social media and regular media stories, saying whether they're true or not and offering related classroom-discussion ideas. Promotion of your IL instructional work to faculty can take many forms, from formal presentations at committee meetings right down to chats in the hallway. Don’t discount the chat approach as ineffective, as it can have many benefits. Not least is that faculty who may find the library intimidating (there are some!) might be more open to hearing what you can do for them in a casual chat than in a committee meeting. While a friendly conversation might feel unacademic, you can still pack in plenty of information by having a prepared elevator speech ready to go—this means a talk that offers a quick pitch or a few key facts about something important to your role. An IL-related elevator pitch for faculty could include details of what classes you’re offering lately, statistics on how IL instruction can benefit students, and facts from professional development literature. For example, the current issue of College and Research Libraries includes “The Academic Library’s Contribution to Student Success: Library Instruction and GPA,” an account of a study that found a small but statistically significant increase in GPA among students who had taken library instruction. The business world offers tips on how to create elevator pitches that flow smoothly and include lots of pertinent facts in a short time. In an article in Forbes, Judy Coughlin, CMO and co-owner of Chic CEO, made the recommendations to the left below. Look to the right for recommendations on how you can translate them to your library! For more on how to get your short, punchy speech down pat, see this article from The Muse. While it’s not for librarians per se, it has much to offer, from how to use index cards to prepare your points to how to practice your speech—alone, in an elevator. Also, check out this recent Learning Community webinar on “How to Implement the Framework for Information Literacy with Classroom Faculty,” in which Professor Janice Baskin discussed ways to get faculty on board with library work. An announcement from ACRL states that the organization is "recruiting a cohort of 3-5 new facilitators to help our current team further develop and facilitate our program. Now in its twentieth year, the ACRL Immersion Program brings together academic librarians for four and a half days of intensive work in teaching and information literacy." See here for more details. We like to keep the content on our pages fresh and current, but that doesn't mean the older articles aren't relevant too! Click here to reach some of the older articles, blog posts, book reviews, and more that we've posted in the past.